count 8) and a 20 year sentence. does support Grate's assertion of when and where she first encountered Holtzclaw and supports her claim that he then drove her to her residence nearby. Grate's description of her attacker was a basic match for Holtzclaw; Italian/white, built like body builder, muscular, dark hair, good looking, about 6' and clean shaven. p8). That assertion doesn't match the other 12 accusers' assertions. his gun kept slapping her in the face and she had to ask him to move it. This is extremely improbable as an officer's gun is worn on their side, not front, and not anywhere near their crotch. Grate claimed that Holtzclaw did not run her for warrants. This deviates from most of the other accuser's allegations. her claim that she freely told Holtzclaw when he stopped her that she had been out prostituting and doing drugs - which is definitely a probation violation. failed to find Holtzclaw's DNA nor any evidence Holtzclaw had been inside the house. left her father a message stating she thought Grate was a victim of sexual assault by a police officer. 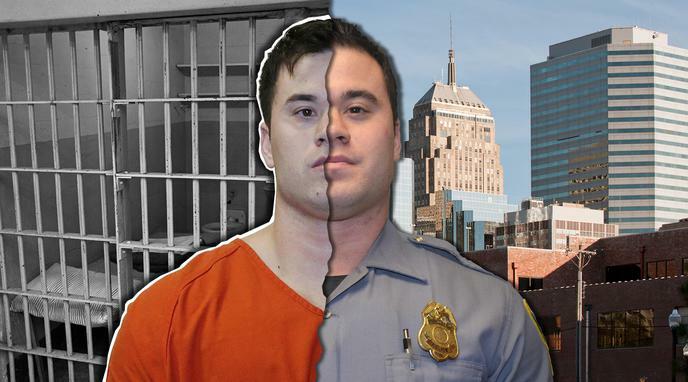 Holtzclaw had also already been shown on the news. has a history of lying to police.